If you are planning to move to Portland or move out of the Portland or want to move to some local neighborhood in Portland, then you should be looking forward to taking help from Northwest Movers. Northwest Movers is a moving company in Portland city where motivated individuals are working together to serve all those who are looking forward to moving to different areas of the city or outside the city. We make sure that if you come up to us with any of your questions or queries related to moving, we have the solution for all your moving needs and that too a satisfactory one. Every individual in our company has a number of years of experience backing them and they are experienced enough in packing, loading and unloading things and ensure complete commitment to providing exceptional customer service. We offer top of the line moving services including both residential and commercial moves within the Portland metro areas and other nearby areas. Our company has made it a tradition to provide expert services with the help of our skilled movers and friendly customer service representatives who are always there to stand next to you whenever you need their help and that too for any moving help. We cover areas including Beaverton, Hillsboro, Gresham, Lake Oswego, and more. So, call us today at (503)-201-7953 and ask for your free quote today. We are a licensed and insured moving company with license number ODOT # 183651 and insurance covering liabilities, workers compensation, cargo, and CC. 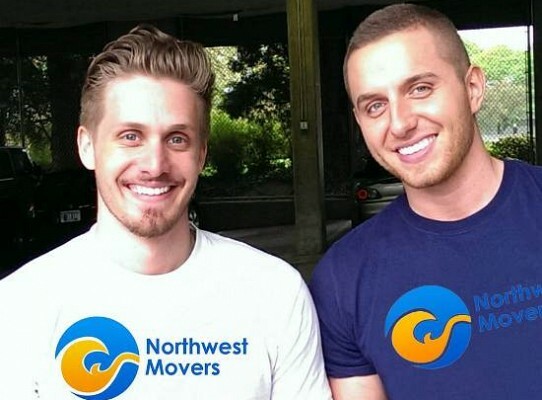 Northwest Movers was established in 2011 in Portland by two college graduates who have a combined experience of 15 years working in moving industries of Portland. With such a vast experience running behind a moving company, you can very well imagine the quality of the services that they provide to its customers and the level of customer satisfaction, which can also be measured by the reviews on Yelp and other review sites. Their main aim is to provide top of the line moving services with complete customer satisfaction along with giving utmost respect to their employees so that they can share the same feeling while serving the customers. Northwest Movers is managed by James M. who has 8 years of experience of working in the moving company. This is not the first company that he is working with. Before Northwest, he used to work in some other local moving company and with his efforts that moving company became a great success among the locals who were looking for some help in moving. He has a great sense of customer service and whether he is working from the office or is active in the field, he has the ability to resolve all the problems. There are many other moving companies in the city but with us, you will get the best wrapping and packing facilities among the entire city movers. We have perfected the art of loading the things in such a way that not even an inch is wasted and all your things are loaded with no damage to your belongings. Our Portland Movers are among the best relocation specialists in the state of Oregon.